At Eagle Nook Resort we have many partners that make your stay and experience with us one of the best in the world. From fishing gear, rods and reels, seaplane flights, and outboard motors, to kayaks, paddleboards and maintenance equipment, all of our resort operations depend on our partners. We deal with them because they are the best in the business, and we would like acknowledge them on this page so that our guests know who we depend on, and know they can depend on them too. So very true, Pacific Seaplanes flies there but more importantly, they fly to Eagle Nook. Pacific Seaplanes flies our scheduled Vancouver BC to Eagle Nook route every Thursday and Sunday. They bring our guests in and out for their fishing and adventure packages. Our guests land at our dock wowed by the spectacular flight and unforgettable first look at the Resort – many say they’ll never arrive at our dock in any other way! Randy and Brenda work as hard as we do at making the flights a big part of our guests’ adventures. Our good friend Chris has a passion for fishing and fishing gear. 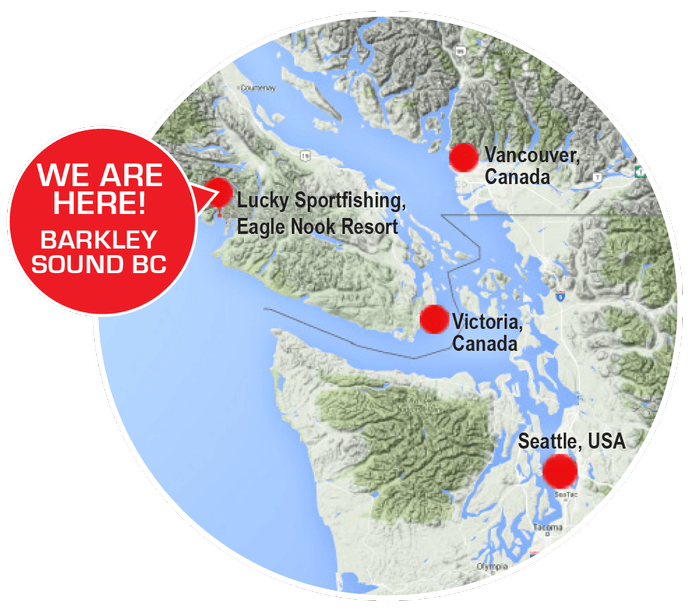 His products are made here on Vancouver Island and are designed to catch salmon and halibut like nothing else. Another great local family business based right here in British Columbia. Trotac Marine supplies us with a fantastic selection of fish gear from rods and reels, to tackle and electronics. We depend on our downriggers and Scotty gear to perform and get our guests into fish. Our guides have been using Scotty downriggers since they were kids. This is one the best run family businesses on Vancouver Island if not in Canada. Flitch Creative is a full-service graphic design agency with an emphasis on brand identity. They create the visual touch points that people have with your brand. St Jean’s Cannery & Smokehouse located locally in Nanaimo for over 50 years is widely known in British Columbia for producing top quality smoked, canned and candied fish. Many of our staff and guests send their catches to St Jean’s every year to be processed and shipped directly to their homes. 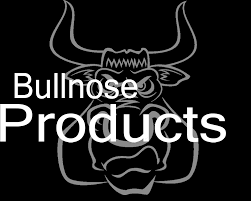 Bullnose Products are unique fishing accessories that are newly patented ideas and now available for consumers all over the world. They are non-stop when it comes to fishing and solving problems that come between fishermen and catching that big fish. Their founder, Jim, has a book of drawings filled with ideas and Bullnose Products was built on those ideas. Their product line includes the Bullnose Rudder, the Bullnose Wobbler Lures and the Ice Fishing Tip-Down. Ruggid Coast is a fishing tackle and metal art company located in Shawnigan Lake, British Columbia. All of their products are designed and manufactured locally on Vancouver Island. They believe it is important to keep their manufacturing and design within Canada so it benefits the local economy. The “i” in Ruggid stands for Island, a nod to their Vancouver Island roots. Eagle Nook is excited to be showcasing Ruggid Coast artwork at the resort this season.